The music of Arthur Frederick is still heard on his Caribbean island home. The museum security guard from Seven Sisters, north London, had a calypso hit in Montserrat, where his song Signs of Christmas is still played on local radio. Killed on the Piccadilly line train at Russell Square, the 60-year-old had enjoyed a glittering 31-year career as a police officer on the island. 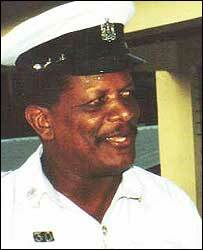 He retired in 1997, as a sergeant of the Royal Montserrat police, and moved to London. His son Astrid Wade, who works as a firefighter on the volcanic island, said it was the volcano that made his father pack his bags. "He was scared of the volcano so packed up and left, after 32 years in the police force at Montserrat. 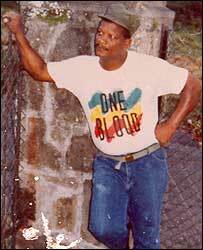 "London became his second home but his mind and his heart were in Grenada, and his mum and dad are still there. "He was a friendly person who got along with everyone. He loved his music, he was a guitarist, and he participated in the local calypso competition in Montserrat every December." Mr Frederick had a couple of hits on the island and he recorded a CD when he moved to London. "When I hear his songs on the radio, it brings back his memory. I do miss him. We had our ups and downs but he was my dad and I have feelings for him. I think he was quite happy with life when he died." In London, Mr Frederick got a job as a museum security guard and had recently returned from his country of origin, Grenada. He had been there for several weeks helping his elderly parents to rebuild a home severely damaged by Hurricane Ivan. He also leaves behind a brother, Albert, in the United States. Montserrat's police commissioner, John Douglas, said he first met Mr Frederick in 1967, when Mr Douglas joined the force. "He was a very committed and devoted police officer who took his job very seriously and he served his country well. I was very saddened to hear of his death." Mr Frederick's musical talents earned him several nicknames, including Soul, Vision, Napo and Otis.